Napoli coach Maurizio Sarri warned his side are heading to Turin on Sunday determined to end Juventus’ long reign as the kings of Italian football. 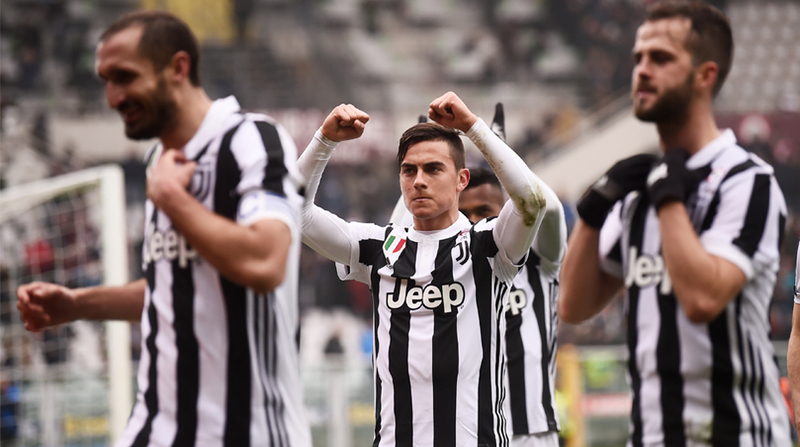 Juventus could have sealed a seventh consecutive title at home this weekend but for a 1-1 draw at lowly Crotone and Napoli’s 4-2 fightback against Udinese midweek which reignited the Scudetto title race. “You are stronger but we will come to Turin to play the game,” Sarri warned Juventus as his side look to add to their titles in 1987 and 1990. “I saw the team playing with great sharpness again. We are mathematically second, the goal is reached, now we can have fun.” Napoli have reduced the deficit to four points on Juventus with five games to play. But history does not favour Sarri’s side who have always lost in the Allianz Stadium. Despite attempts to minimise the scope of Sunday’s direct clash, the game should decide the championship with a seven-point advantage probably meaning a seventh consecutive Scudetto for Juventus. A Napoli win would reduce the gap to just one point with Juventus having a difficult run-in to the season against Inter Milan and Roma — both fighting for Champions League places. Juventus coach Massimiliano Allegri concedes his side must win to defend the domestic title which is their main focus after being dumped out of the Champions League by Real Madrid. “There is a bit of regret for the match, but we know that the championship would not have been decided (Wednesday) under any circumstances, and will not be closed even Sunday,” said Allegri. “By winning we could take a big leap forward.” Allegri hopes to have Mario Mandzukic (gastroenteritis) and Miralem Pjanic (muscular problem) available as alternatives to the inconsistent Paulo Dybala and bolster the Juventus midfield. Midfielder Stefano Sturaro is also struggling with an inflamed Achilles tendon. Elsewhere, in the race for the two remaining Champions League places, AS Roma travel to lowly SPAL on Saturday with Lazio — equal on points with their Roman rivals — hosting eighth-placed Sampdoria, who are challenging for a Europa League berth. AC Milan are effectively out of the running for a top four finish and may even have to look over their shoulders with Atalanta just two points behind in seventh before their game against midtable Torino. Sampdoria are three points off the Europa League places along with Fiorentina who travel to Sassuolo. “It’s going to be a battle for the Europa League spots and we’ve got the Italian Cup final with Juventus to play too (May 9),” said Milan coach Gennaro Gattuso. AC Milan — without Turkish midfielder Hakan Calhanoglu who has damaged knee ligaments — host Benevento who could be relegated this weekend. Gattuso will be conscious that his reign as Milan coach began last December by becoming the first team to fail to beat Benevento when goalkeeper Alberto Brignoli scored in injury-time. In the scramble against relegation, Udinese host Crotone and Verona travel to Genoa.